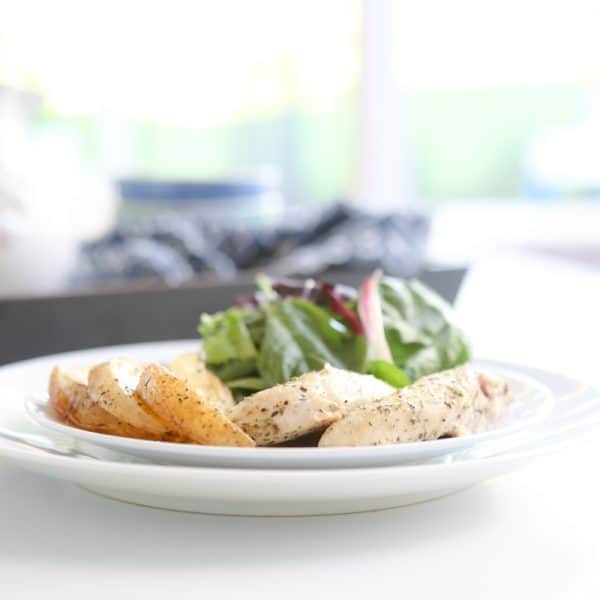 You’ll love this super simple roasted chicken and potatoes dinner recipe. Using just a few ingredients, you can have dinner on the table in no time at all! Weeknights can get hectic at our house. Between after school activities, sport practices and homework, there’s not much time left over for dinner. For the past few weeks, it seems like we’ve been eating dinner later and later. I do have lots of quick recipes, but remembering them is another thing. Most of the time I just need to make dinner – with no recipe required! When I’m in a hurry, I turn to my oven and make a baked dish. I always start with potato wedges drizzled in olive oil. In another dish I take either chicken breast tenderloins (this small cut cooks quicker), pork chops or sirloin steak. Then I quickly season the meat and potatoes and place them in the oven at 450°. While that’s cooking I make a simple salad out of fresh greens and tomatoes. 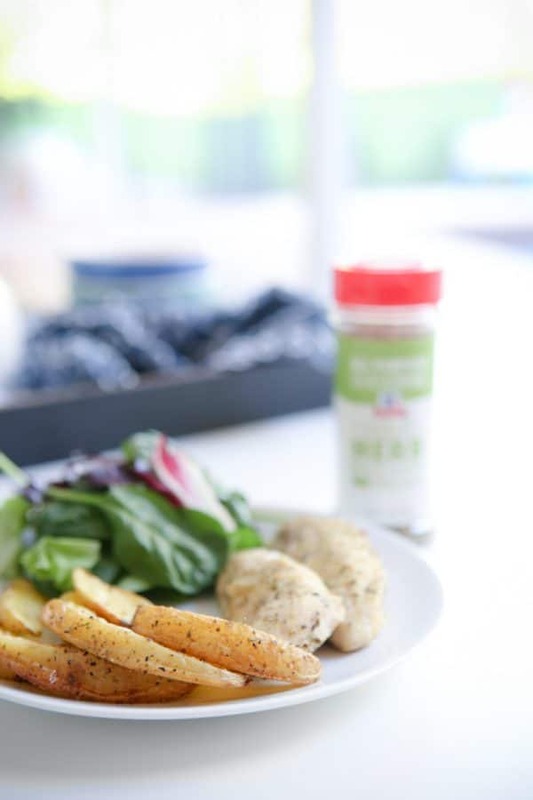 When it comes to seasonings these super quick dinners, you can use salt and pepper, but it can be a little bland. 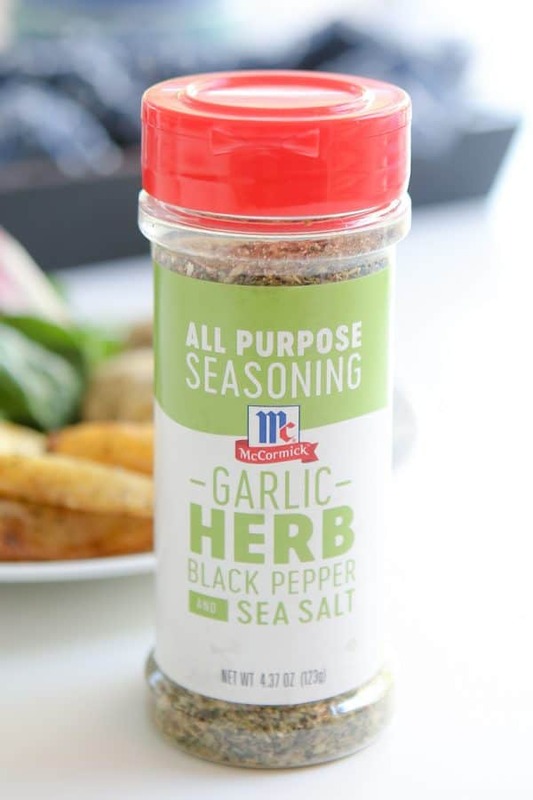 Now McCormick has these new All Purpose Seasonings that give your foods so much flavor and are perfect for this type of recipe-free cooking! There’s really no excuse not to cook at home with these simple solutions from McCormick. For this recipe I used McCormick Garlic, Herb, Black Pepper & Sea Salt All Purpose Seasoning. 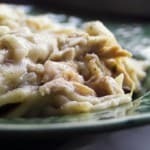 It tastes amazing in this dish and is so easy! 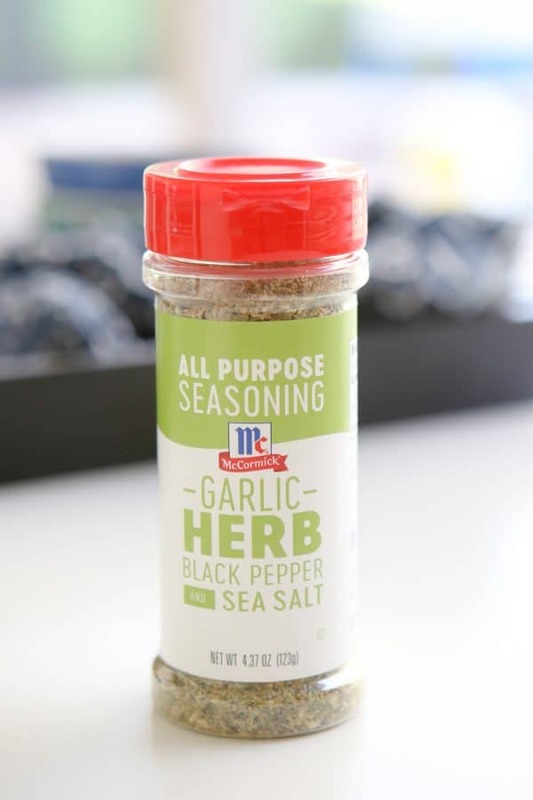 This seasoning blend really take the guesswork out of quick recipe-free cooking. These new blends are so versatile and have transparent ingredients. All Purpose Blends – The “secret weapon” that takes the guesswork out of flavor. Here are the other blends available. 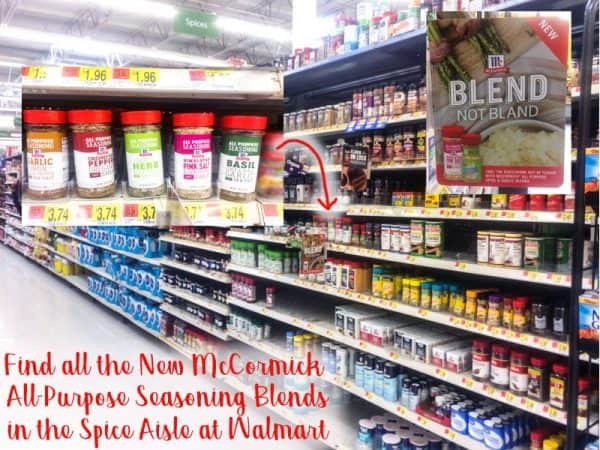 You can find all of these New McCormick Seasoning Blends in the spice aisle at Walmart. 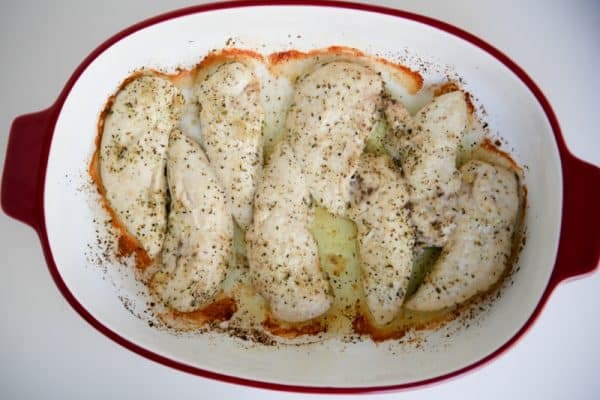 To make this recipe, I just added chicken breast tenderloins to a baking dish and tossed them with a little olive oil and lemon juice. Then I sprinkled on McCormick Garlic, Herb, Black Pepper & Sea Salt All Purpose Seasoning. 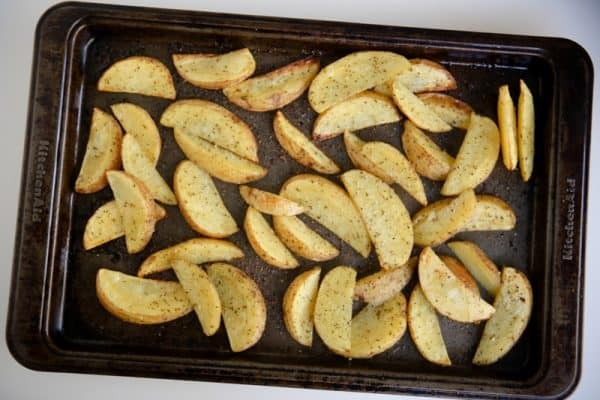 For the potatoes, I just placed potatoes cut in wedges on a cookie sheet, tossed them in olive oil and added McCormick Garlic, Herb, Black Pepper & Sea Salt All Purpose Seasoning. Then just serve with a simple salad and dinner is done! Heat oven to 450°. Place chicken in baking dish add 1 tablespoon olive oil and 2 tablespoons lemon juice and toss to coat. Sprinkle 1 teaspoon McCormick Garlic, Herb, Black Pepper & Sea Salt All Purpose Seasoning on each side of each chicken breast tenderloin. 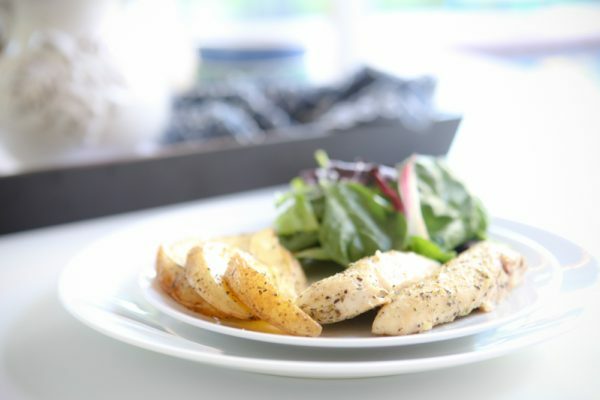 Place potato wedges in baking dish and add 1 tablespoon olive oil and toss to coat. Sprinkle 1 teaspoon McCormick Garlic, Herb, Black Pepper & Sea Salt All Purpose Seasoning on potatoes and toss to coat. 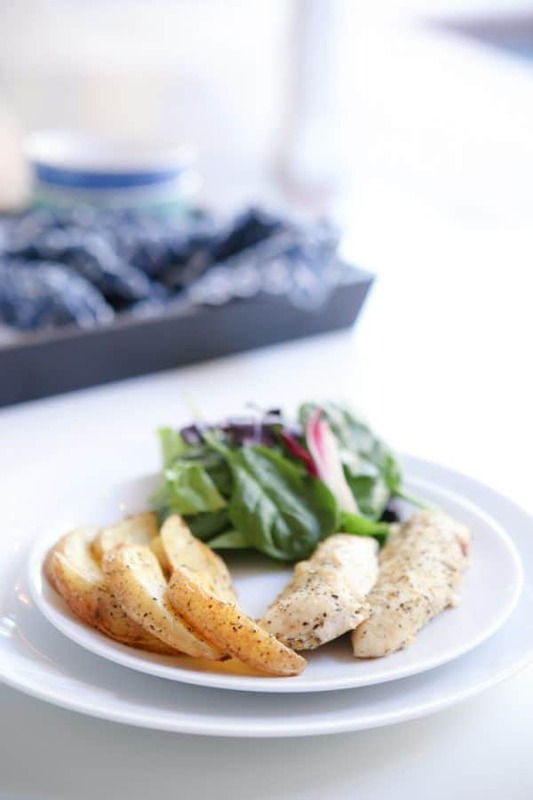 Bake chicken and potatoes at 450° for 20 - 25 minutes, or until potatoes are tender and chicken's internal temperature is at least 165° and juices run clear. I love lemon and garlic with my chicken, and add some rosemary and white wine, too! It’s a great weeknight meal! So tasty! Simple, quick, tasty and wholesome – that’s always a winning combination! Weeknights are so crazy around here!! I am all about this easy meal. I love simple meals like this. Chicken and potatoes are such a great go-to meal. It makes everyone happy. We love McCormick spices too.